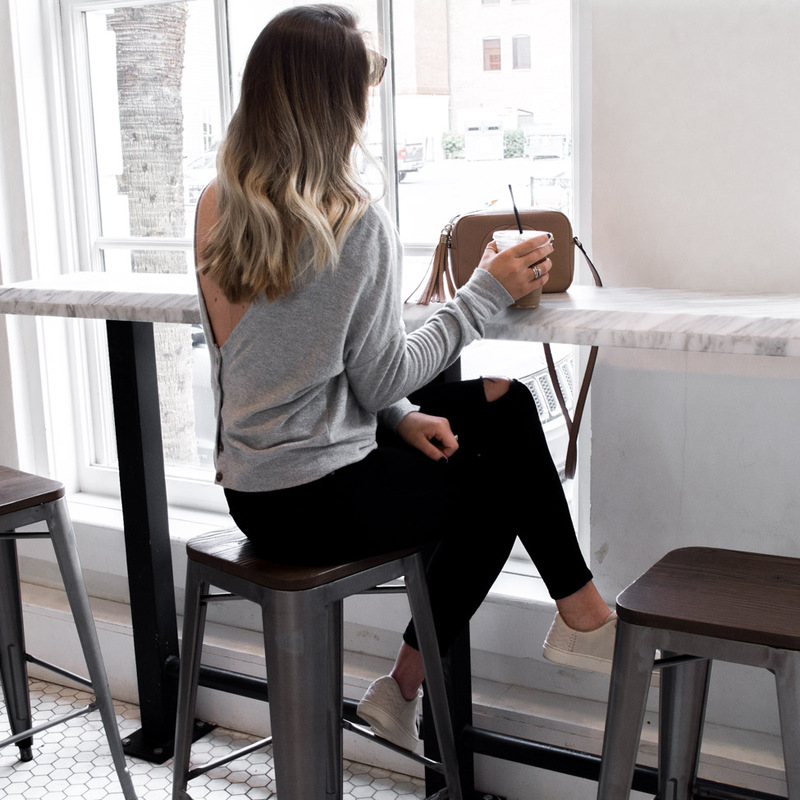 One of our favorite things to do when we travel is try out a new coffee shop. I get so excited looking for a new spot before we head to a city. I always search IG and the internet for options ahead of time so we have some sort of a game plan when we arrive. Since it’s the first stop of the day we never want to have the search for a latte holding us up when we are ready to get out the door and we also never want to end up at a Starbucks–where’s the fun in that? My order is always the same though wherever we go: Latte with Skim Milk and Sugar Free (if available) Vanilla. Sometimes I get it iced and sometimes I get hot depending on my mood, not depending on the weather, haha. && I will admit, I am drawn to any coffee shop that has marble tables. Can’t lie! On our recent weekend trip to Charleston we tried The Rise Coffee bar (seen above) and Black Tap Coffee. Both were good but our favorite was definitely Rise. It’s connected to the Restoration Hotel and after seeing the lobby [and the bathroom, haha]–I can tell you that I for sure want to stay there soon. The vibe is oooh SO good! 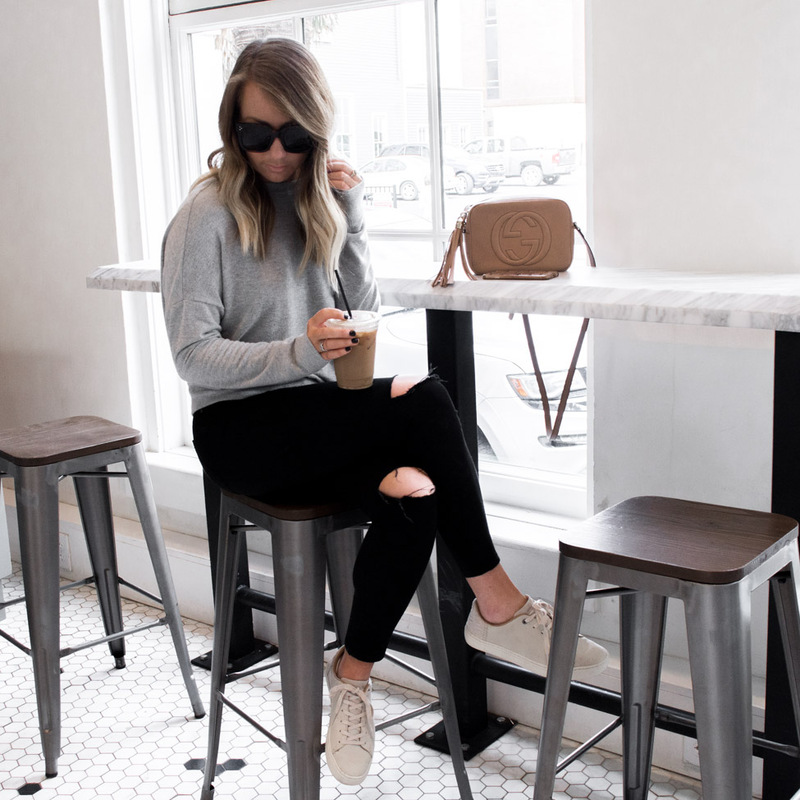 I rounded up a list of our favorite coffee shop in a few cities that we’ve been to recently for you all below (including the city we live in too, of course). If you have a favorite in a city that isn’t listed will you please do me a favor and send the recommendation my way? I love to keep an ongoing list!